I don’t hate Lady Bird, the new film by everyone’s favorite indie-star-turned-director Greta Gerwig, but I do hate Christine “Lady Bird” McPherson, the film’s protagonist. The rest of the film surrounding the character, despite somehow being the best reviewed dramedy of 2017, with a mind-boggling 100% “fresh” rating on RottenTomatoes, doesn’t elicit much of a reaction from me either way. It’s a well-made retread of just about every coming-of-age trope I’ve ever seen. That could have been fine. My biggest complaint about coming-of-age films is they focus too much on interchangeable, straight, white teenage dudes; thus, I was excited by the prospect of seeing a fresh perspective. Unfortunately, Lady Bird herself is a monster. Don’t even try to give me the whole, “Well, Lady Bird’s a teenager, and teenagers are notorious brats.” This goes way beyond that. The film opens with Lady Bird (a fine performance of a terrible character by Saoirse Ronan) jumping out a moving car after an argument with her mother. The moment’s meant for laughs, but it reminds me of all the scenes in creepy stalker films when the stalkers physically harm themselves to frame their victims for assault. Maybe I could get past it if the unrepentant Lady Bird didn’t spend the rest of the film torturing her family. From repeatedly letting them know how much she despises their low-income life to constantly bullying her mother, and even throwing racist insults at her adopted brother, Lady Bird is savagely cruel and entitled. Now I can’t stop thinking about how it would have been a masterstroke of genius for the film to end by actually following through on its suggestion that Lady Bird might get her comeuppance. The film charts a year in the life of an outcast Catholic school girl as she loses her best friend before they inevitably rekindle, loses her mother before they inevitably rekindle, receives countless rejection letters from Ivy League universities before she’s inevitably accepted into her dream college and falls in with the popular kids before she inevitably realizes they’re a bunch of asshats. The real kicker of this subplot is that, although the film exhausts itself showing you how pretentious the popular kids are, it doesn’t seem to realize that Lady Bird is even more obnoxious. The film wraps up these subplots in tidy little feel-good bows, but how great would it have been if Lady Bird experienced the consequences of her actions? What if her best friend blew her off? What if she didn’t attend her dream school? 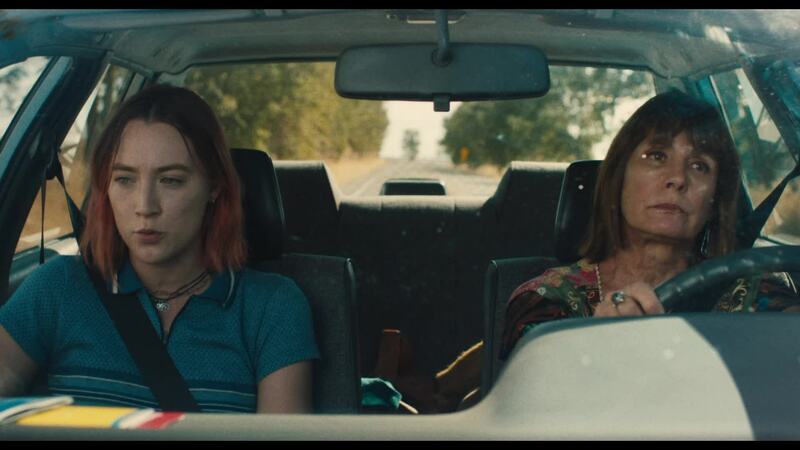 In the case of Lady Bird’s relationship with her mother, who is on the receiving end of her most vicious behavior, it would have been so much more satisfying to actually see them cut ties. Unfortunately, the film thinks Lady Bird is far more redeemable than she really is. By the end, everything works out for her in exactly the way it probably shouldn’t. I’ve heard a lot of praise for the “originality” of Lady Bird. Why, though? Except for an unusually mean protagonist, Lady Bird is cookie-cutter coming-of-age dramedy.